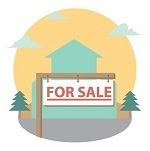 When buyers look at houses, they primarily focus on three areas of your Havasu home: the kitchen, the master bedroom, and the bathrooms. In fact, an outdated kitchen and/or bathroom can bring down your property's value more than any other room in your house. 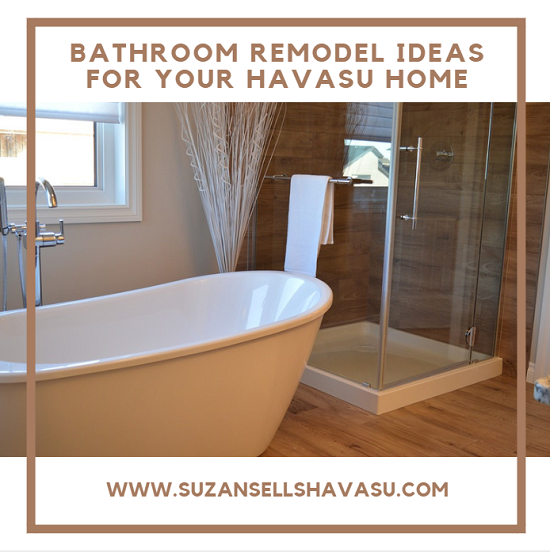 So, if you're planning on selling it anytime soon or simply want a change, here are a few bathroom remodel ideas for your Havasu home. Some of them cost very little money and take hardly any effort but make a huge difference once they're completed. One of the simplest, quickest, and least expensive bathroom remodel projects you can complete this weekend is to replace your showerhead. Tired of running around in your shower, trying to get your entire body wet (spotty water flow)? Interested in creating a spa-like atmosphere with a multi-head shower system? Even simply adding a handheld option looks better without spending an arm and a leg. Does your bathroom include an oversized mirror? For your next bathroom remodel project, take down that old, ugly, cheap-looking full-width builder-installed mirror. A beautifully framed mirror over your bathroom vanity looks much more elegant. With a double vanity, smaller matching framed mirrors over each sink provides a chic finishing touch. What pairs better with a new mirror than updated lighting? Many builders throw up ugly lights that create a very dated look. Another bathroom remodel project that is relatively inexpensive to perform is to replace your lighting fixtures. If you plan on replacing your mirrors as well, wait until you've decided on their size and placement before you put your lighting up. You need the lights to be centered above the mirrors when they're installed. Home improvement stores offer hundreds of styles and colors to choose from. Depending on the size and style, a new bathroom vanity costs anywhere from a couple hundred dollars to well over a thousand. Some people repurpose old dressers, which brings down the cost and adds a rustic feel. For an even simpler bathroom remodel, simply switch the current faucet with a new one, paint the cabinet doors and drawers, and add some pulls or handles. Jacuzzi tubs were all the rage several years ago. But, now, soaker tubs are huge with designers. A soaker tub takes up less space and makes your bathroom feel larger and more open. (That "open concept" isn't just for the main living areas, by the way.) When you hire a pro to replace your old tub with a new one, make sure to shop around. Get estimates from several different contractors. Check their references before deciding which one to use. Finally, when it comes to a bathroom remodel, it might be time to upgrade your shower. Forget the small insert with its clunky metal framed door or shower curtain. Add a lighter colored tile with a seamless glass door for a beautiful walk-in shower upgrade. This brightens up the entire room. However, it also tends to be one of the more expensive and time-consuming projects you'll find in the bathroom. Shop around for the right contractor to handle it if you lack the skill or time to do it yourself. Most of these bathroom remodel ideas can be completed for minimal cost by you over a weekend. Others may require some professional assistance. All of them create an updated look that you'll enjoy in your Havasu home for several years to come. But, if you do decide to sell it soon, these upgrades could also fetch you a higher sale price.